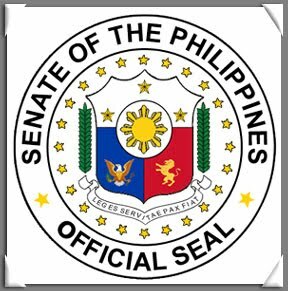 MANILA, Philippines (Mindanao Examiner / May 22, 2011) – Three Filipino solons have proposed a consolidated bill that would allow them to declare as tax deductible more than the four qualified dependents currently allowed by law. Senators Ralph Recto, Manuel Villar and Antonino Trillanes IV, are behind the consolidated bill that is awaiting plenary presentation. It will amend the National Internal Revenue Code or Tax Code and scrap the maximum limit of four qualified tax dependents. Currently, the NIRC sets a cap of up to a maximum of four qualified dependents that a taxpayer could claim as additional allowable tax exemptions. Recto said once approved, any individual taxpayer could declare more than four qualified dependent children as long as they’re below 21 years old and, in exchange, obtain a tax deduction of P25,000 for every dependent. He also said that an individual taxpayer living with or looking after his biological parents could declare them as additional qualified dependents as long as the parents are not gainfully employed or are incapable of self support because of mental or physical defect. The bill would likewise grant an additional tax deduction of P25,000 to a taxpayer acting as legal guardian to a physically or mentally-challenged person regardless of age. The proposed measure also makes easier for taxpaying individuals who are already burdened by tough economic times to continue taking care of their parents and people with physical and mental defect.